It’s a long way to Mars. 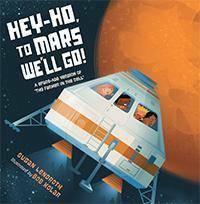 Along the way, junior astronauts learn they’d have to dive through the hatch, sleep in a sleeping bag tethered to the wall, grow their own food, and maybe even ask “Are we there yet?” before touching down on the red planet. This book by Susan Lendroth mixes facts and fun, all sung to the tune of “The Farmer in the Dell.” And you could win a copy! To enter our random drawing, submit a comment to this blog to let us know which planet you’d most like to visit. Send your comment by February 21. One lucky teacher will win! 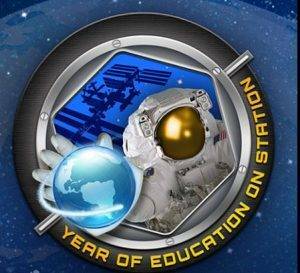 Have you heard about the NASA Year of Education on Station? Two astronauts and former teachers are spending time on the International Space Station. While on board, they’re sharing their love of STEM and even completing some activities planned by teacher-astronaut Christa McAuliffe. Learn more here. With Project Atmosphere, teachers who include weather-related content in their lessons can apply to attend a special workshop this summer at the National Weather Service Training Center in Kansas City, Missouri. Travel, food, lodging, and instructional materials are all paid for. Apply by March 26 at ametsoc.org/Project Atmosphere. 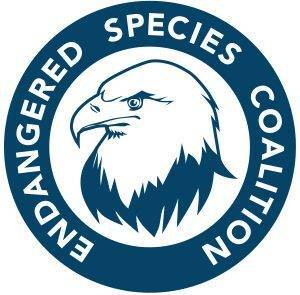 The Saving Endangered Species Youth Art Contest challenges students to illustrate an endangered plant or animal—and have a chance to win a trip to Washington, DC. The deadline is March 1. Get details here. And before you ask, yes, you can opt to visit everyone’s favorite dwarf planet, Pluto. That little underdog planet is the one I’d pick! PS: Check out our free lessons on how to be a friend and enter for a chance to win a $500 Amazon gift card and $500 in Peppa Pig educational products too. Click here. I am happy right here on Earth although it is fun to imagine what life could be like on other planets. It might be cool to explore Saturn’s rings. Saturn for me, too! I’d like to see its rings. Earth! Wyoming is the best place on earth! Earth because i still haven’t visited all the United States and have never been over seas. I would love to visit Jupiter since it is similar to Earth. Earth – because there are soooo many places I’d like to visit. Many years ago in a far off state, I visiited Mars. the school entered the Marsville program,. We built a structure to use on the planet and designed a rover to run on the planet. It was a great adventure. I would love to visit again. I think I would prefer to stay on Earth! I would love to visit Saturn. I don’t want to visit another planet until I’ve visited more corners of this one! I am very fascinated with space! When my daughter was young, she wanted to be an astronaut and fly a space shuttle. She said she would take to space with her. Her career plans have changed over the years, but I would like to visit our sister planet Venus. I’d love to visit Pluto! Is that still a planet? If not, then Neptune. I’d have to go to the dwarf planet, Pluto. I always “cry” when we talk about planets and poor Pluto is not included. At least it is a dwarf planet, but it’s not the same. Such a cute way to tell a story… Love the song! I think Jupiter would be interesting. I would love to get a closer look at Saturn! I think Neptune would be an interesting planet to visit. Who wouldn’t like seeing a planet named after the king of the sea! Saturn! My favorite planet (besides Earth lol) that I would love to visit and explore. I have always wanted to visit Jupiter! I think I would like to visit Mars. It seems to have some of the closest kindred molecules/environment that we can get to earth. If they could just thaw the ice…..